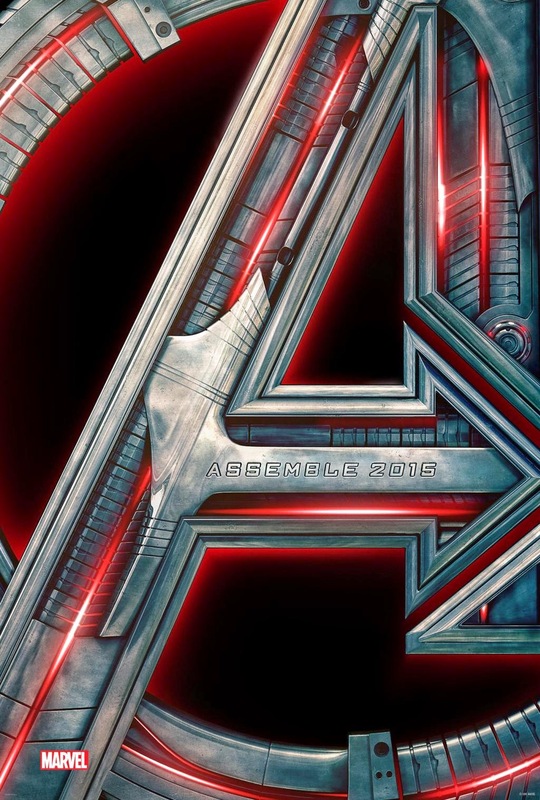 The first Avengers: Age of Ultron trailer has premiered after being leaked earlier today. The first peak at the follow-up to writer/director Joss Whedon’s record-breaking 2012 film was supposed to drop during next weeks episode of ABC's Agents of S.H.I.E.L.D. but given the circumstances Marvel has blamed Hydra and officially released the trailer online. There is no denying the anticipation for this one is sky high and our first glance at the sequel only adds to that hype in the most positive of ways. I can remember being slightly underwhelmed by the first trailer for The Avengers as the Nine Inch Nails soundtrack never met with what I imagined it to be, but ultimately we know everything turned out okay and if nothing else it was a treat to finally see all of these characters in one place together. This time around that isn't going to enough, but what Whedon has given us a glance at here is a very different, much darker tone than the original possessed. I love the color palette here, I enjoy the musical choice, I;m intrigued as to what exactly is at stake here and I appreciate the vibe comes off as dramatic while not taking itself too seriously (though some will surely criticize it for trying to be "dark and gritty" in the vein of Nolan). Iron Man (Robert Downey Jr.), Captain America (Chris Evans), Black Widow (Scarlett Johansson), Thor (Chris Hemsworth), Hulk (Mark Ruffalo), and Hawkeye (Jeremy Renner) all return to battle Ultron (James Spader) this time around while new allies and enemies join them in the form of Scarlet Witch (Elizabeth Olsen), Quicksilver (Aaron Taylor-Johnson) and The Vision (Paul Bettany). 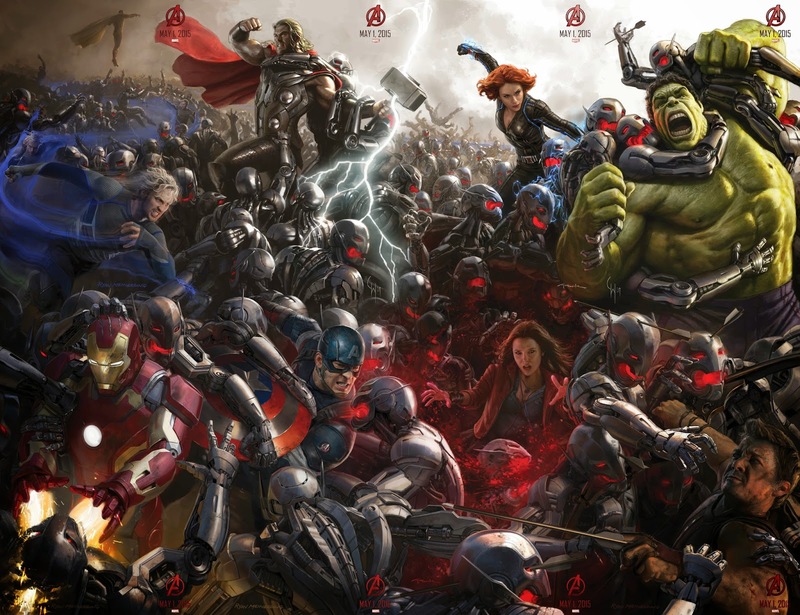 Avengers: Age of Ultron also stars Don Cheadle, Andy Serkis, Samuel L. Jackson, Cobie Smulders and opens on May 1, 2015. Synopsis: Marvel Studios presents “Avengers: Age of Ultron,” the epic follow-up to the biggest Super Hero movie of all time. When Tony Stark tries to jumpstart a dormant peacekeeping program, things go awry and Earth’s Mightiest Heroes, including Iron Man, Captain America, Thor, The Incredible Hulk, Black Widow and Hawkeye, are put to the ultimate test as the fate of the planet hangs in the balance. As the villainous Ultron emerges, it is up to The Avengers to stop him from enacting his terrible plans, and soon uneasy alliances and unexpected action pave the way for an epic and unique global adventure. Written and directed by Joss Whedon and produced by Kevin Feige, Marvel’s “Avengers: Age of Ultron” is based on the ever-popular Marvel comic book series “The Avengers,” first published in 1963. Louis D’Esposito, Alan Fine, Victoria Alonso, Jeremy Latcham, Patricia Whitcher, Stan Lee and Jon Favreau serve as executive producers. Get set for an action-packed thrill ride when The Avengers return in Marvel’s “Avengers: Age of Ultron” on May 1, 2015.